Jack Hillmer and the Ludekens house, Belvedere (1951). Scratch the typical design architect and you'll find an artist inside. With Jack Hillmer you didn't have to scratch. He entered the profession intending to be an artist, and never got a professional license—because how can you license an artist? He never made much money in the field, and said he didn't care about money. Hillmer (1918-2007) completed fewer than a dozen houses, but won fame among cognoscenti for their quality. They were a blend of true Bay Area woodsiness with geometric precision and brave engineering, with beams supporting bold cantilevered decks. Hillmer sometimes virtually lived on site during construction of his houses and attended to every detail. He avoided exposed hardware, attended to patterns affected by light at different times of the day, and created houses of heavy, unfinished redwood timbering that nonetheless seem to float. "I like to use the wood raw, with no finish on it so you can see the sheen of the wood, the texture of the wood," he said in a 2003 interview. The aroma of the wood was very much part of his architecture. He was equally attentive to stone, traveling to the quarry to choose the right granite slab, and tinting the concrete floor of one house to match the color of a bayside boulder just below. 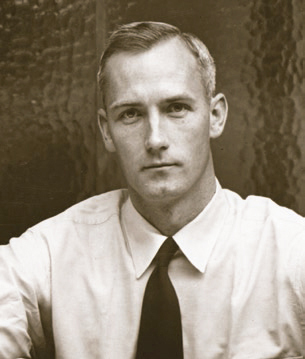 Hillmer, with his friend and onetime partner Warren Callister, shared an office for a time in the 1940s with Eichler's architects Anshen and Allen. Hillmer recalled Anshen as the only architect in town who urged Callister and himself to stay and work in the region. There's another link between Hillmer and Eichler. Like Joe, Jack lived for a time in the Frank Lloyd Wright-designed Bazett house in Hillsborough. Both took inspiration from it. Hillmer's spiritual side comes across in his houses, which, despite their bold gestures and tough materials, have an ascetic presence. 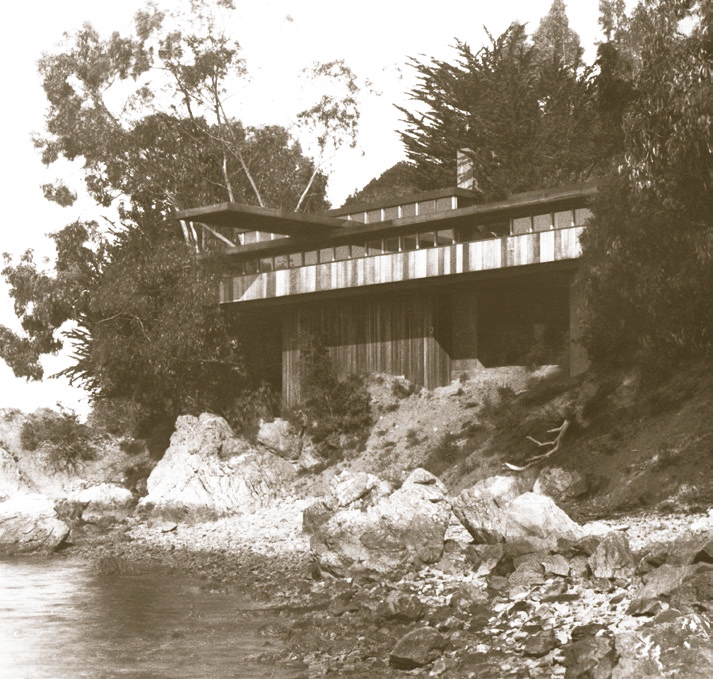 About his 1951 Ludekens house in Marin, Architectural Forum wrote that everyone who saw it, from Bill Wurster to the material suppliers, "liked it because it lifted them out of themselves."